Mixed Tea | Twende pamoja! 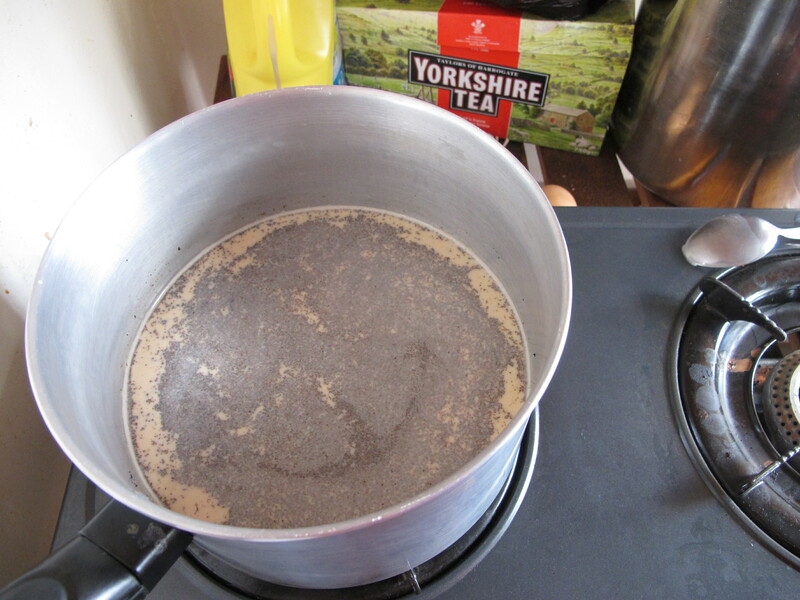 This week I have been learning how to make Kenyan Tea aka Mixed Tea. When I first got to Kenya I have to admit I was quite underwhelmed by the tea on offer, especially considering it is a major tea growing nation! Sadly, I think a lot of the best quality tea gets exported… probably in vast quantities to the little Island I call home to satisfy the Brits notorious love affair with the stuff. 1. 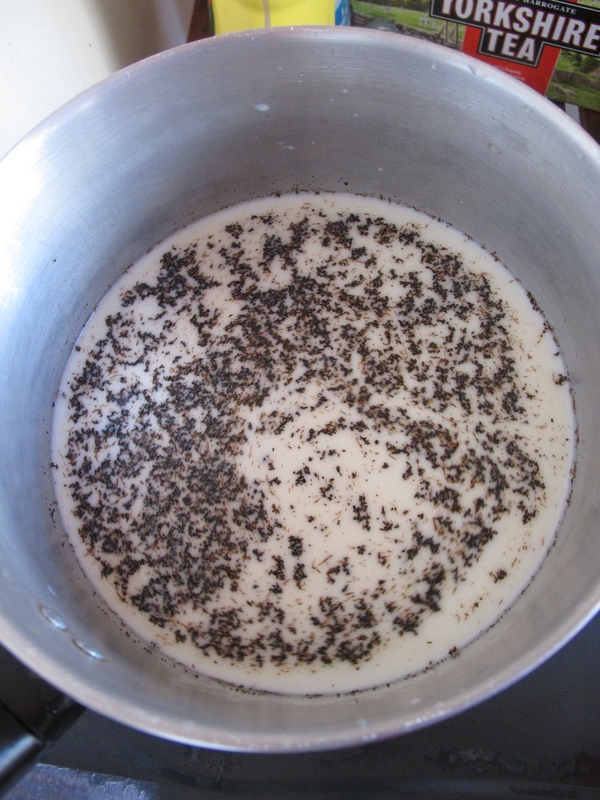 Take three simple ingredients: tea “leaves” which appear more like granules to me, milk and water. 4. Add in the tea leaves and let it brew for 3-4minutes. This is the really tricky part. 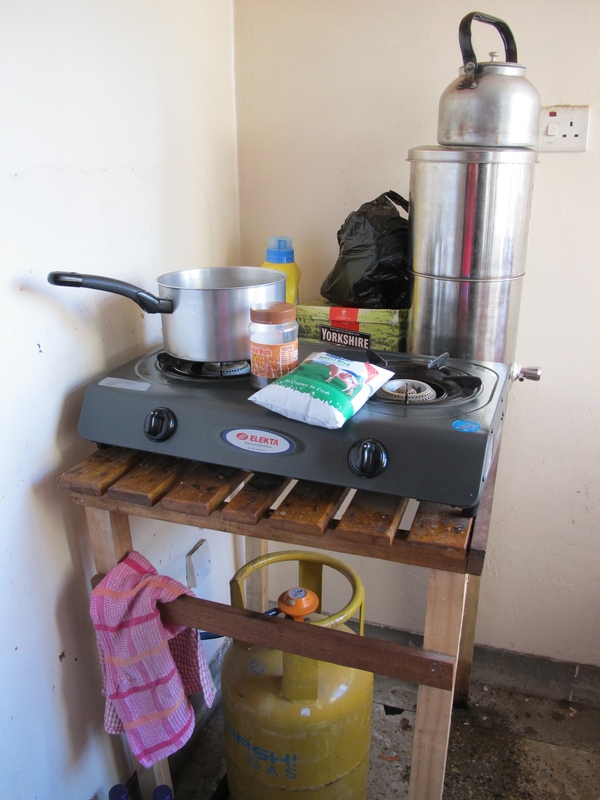 Ideally you don’t stir the mixture but milk has a seriously annoying tendency to boil over especially when cooking on one of these gas cookers which doesn’t have very subtle settings. I had very burnt milk the first few attempts. 5. Strain the mixed tea through a sieve to catch the granules. Ideally into a thermos. 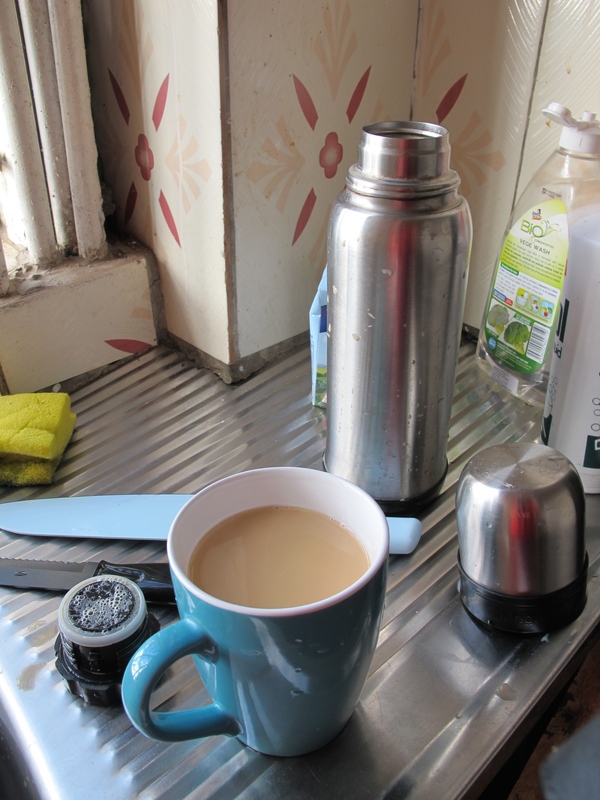 EVERYONE uses thermos flasks here. 6. Drink before gross skin forms. Mmmmmmm!! Yummy!